At last year’s New York Comic Con (NYCC 2014), Japanese toy maker Kotobukiya officially announced their next line-up for the Marvel NOW! 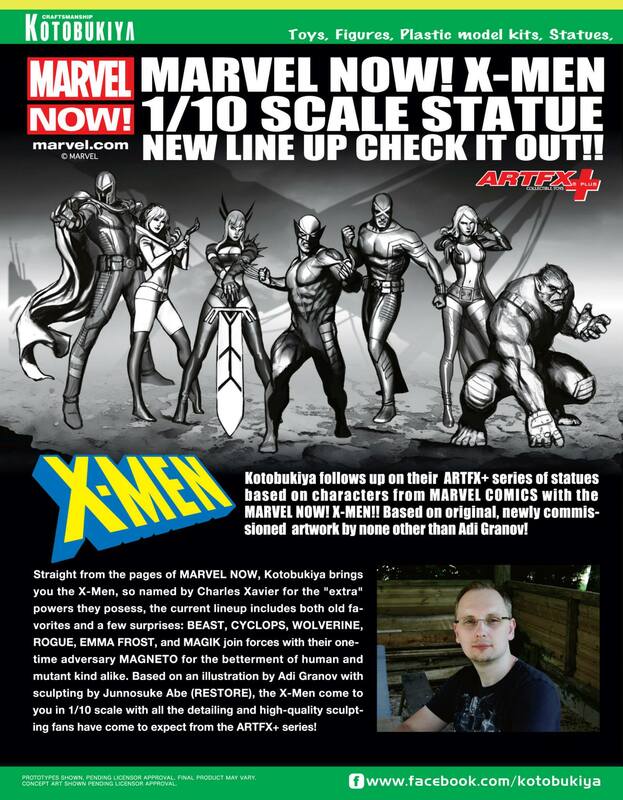 ArtFX+ 1/10th Scale Statue series. Following the release of the Avengers series made up of 6 well-known Avengers (Capt. America, Iron Man, Thor, Black Widow, Hawkeye & Hulk), this time they showcased 7 members of the X-Men (Cyclops, Emma Frost, Magik, Magneto, Rogue, Wolverine, and Beast). 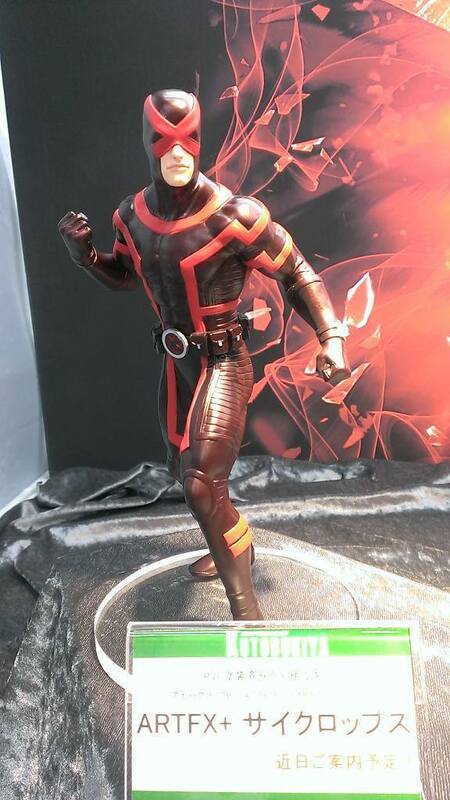 A few hours ago at their main store in Japan, Kotobukiya displayed the first prototype of one of their figures, Cyclops, wearing his latest Mutant Revolution costume. (or some might call it the Racer-X-ish one). As of writing, there is no actual date of release of this line-up, save for a notice that it will be out this 2015. I guess for die-hard fans of these Uncanny Mutants (like me) it’s time to save up to collect all X-Men.